This year, I noticed a lot more contestants of mixed heritage. Maybe I am more in tuned to it because of my Flippish kids and that I am in a mixed marriage? Nah, I have been married for 14 years and I would have noticed back then if the show had a diverse pool of contestants. FYI, I have been watching The Bachelor since Season 1. I don’t know if I should be admitting this, but there you have it. The cat is out of the bag. I have been watching 18 seasons of The Bachelor. It is my guilty pleasure and all you nay sayers can just get over it. It took lawsuits and complaints against ABC Network that The Bachelor contestants are not very diverse. I agree. Throughout the years, a very small amount of African Americans, Asian, and Hispanic were picked for the show. I was very happy when Puerto Rican American Mary Delgado won the heart of Byron Velvick during Season 6. Unfortunately that union didn’t last. After Season 6 I thought there will be a more diverse group of contestants or contestants of mixed heritage. Or maybe they didn’t stand out or get any air time for me to notice. And believe me, I notice everything. Last year, during The Bachelor 2013, we watched Flitalianish (Filipino, Italian, Scottish) Catherine Giudici win the heart of All American Sean Lowe. I noticed her immediately as soon as she got out of the limo. I knew she was of mixed heritage. Her looks or mixed ethnicity weren’t the only things that caught my eye, but her great personality, humor, and positive attitude made me root even harder for her from the beginning. It was pretty sad she didn’t get much air time. I guess the ones who creates the biggest drama gets the air time. She seemed to disappear in the background until later on in the season when Sean finally noticed her. Finally! 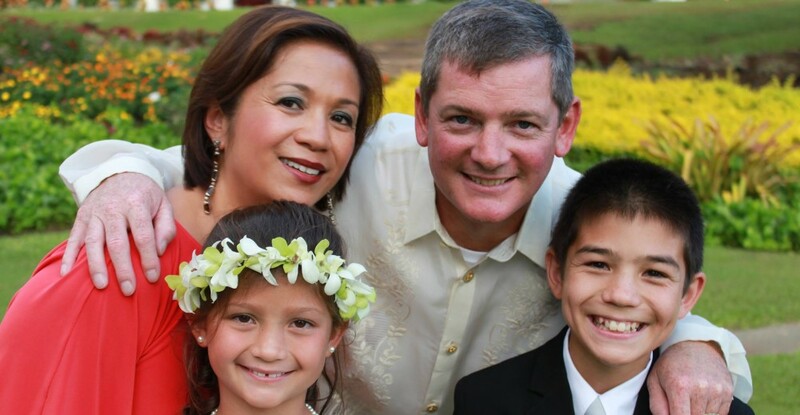 When Sean visited Catherine’s hometown, my kids and I were excited to see that she is part Filipino. The viewers saw Sean gamely don an apron and learned to cook lumpia. He seemed to embrace Catherine’s family just like my husband did when he met my family. Now they are getting married. I know their kids are going to be multiculturally beautiful. They will have a lot of great cultures to pull from. Now we come to Bachelor 2014. Juan Pablo claims to be the first Latino (he is from Venezuela) Bachelor, but complaints have been made that he doesn’t look it because of his fair coloring. OMG, no matter what, people will still complain that he is too white, too dark, too ethnic, too non-ethnic. Blah, blah, blah. My former nanny is from Peru and she has blonde hair and green eyes and considers herself a Latina. Just like the USA, Latin America comprises of immigrants of European, Asian, and African ancestries. Former president of Peru Alberto Fujimori (1990-2000) was of Japanese ancestry. I rest my case. Back to the list of multicultural women that diversify the contestant pool. They include 1 African American, 1 Latina from Brazil, no Asians, and 5 are of mixed heritage. I have linked their names to The Bachelor website so you can check out their bio. Ashley was born in Hawaii and moved to Texas. She looks mixed doesn’t she? Clare tells us she is part Mexican. I was shocked. Who would have thunk? She may not look it because she got more of her father’s European complexion. Just like in my kids, people are shocked to find out they are half Irish. Chantel is the only African American on the show (aka ABC is being PC). Need I say more? Danielle is a stunning woman of mixed heritage. She reminds me of a writer friend who calls herself Afro-Viking. I won’t hold it against her that she dislikes my favorite food in the world – sushi. Lucy the cute free spirit claims she is part Latina – hence her last name Aragon. She is a little too free spirit for my taste, but as long as it makes her happy, who am I to judge? Victoria hails from Brazil. By the looks of tonight’s preview she seems to be a bit of a mess. I will refrain from commenting further. Sharleen the reserved opera singer from Canada has a wonderfully mixed heritage. Her mom is Chinese and her dad is a mix of Irish, French, English, and Aboriginal. Thus her beautifully exotic look that captivated Juan Pablo. She is very classy and very reserved. Frankly, I don’t know why she signed up for a show like The Bachelor? However, I give her props for the gumption to do something so different from opera. She got flack for being standoffish and not screaming with joy when Juan Pablo gave her the first impression rose. Viewers, its called class. There you go, folks. Out of 27 contestants, we have 7 women to diversify The Bachelor, Season 18. Wow! Maybe I have missed some? If so, please let me know. During Sean Lowe’s season there were 6 people of color. That is more than Season 16 (Ben Flajnik) who had zero. I am tempted to go through each season to see how many women of color were picked to diversify the pool of contestants, but rather not waste my time counting. I might get disappointed. So, Bachelor producers, you are heading in the right direction. It’s a great start but 7 women out of 27? You can do better than that.